Stem cells from adult tissues were considered for a long time as promising tools for regenerative therapy of neurological diseases, including spinal cord injuries (SCI). Researchers at GIGA have investigated the impact of pure populations of mesenchymal stem cells (MSCs) and neural crest stem cells (NCSCs) isolated from adult bone marrow in a mouse model of spinal cord injury. They observed that both cell types induced motor recovery in mice, and modified the inflammatory reaction in the lesion site. Their preliminary results suggest that both cell types have beneficial effects in experimental SCI. Multiple sclerosis (MS) is a chronic inflammatory demyelinating disease of the brain and spinal cord. The cause of multiple sclerosis is unknown. It’s considered an autoimmune disease whereby the immune system malfunction destroys myelin. Among others, one strategy to treat MS is to stimulate the recruitment and the activation of resident oligodendrocyte precursor cells (OPCs) to differentiate them into functional myelinating cells. In this context, researchers at GIGA are studying the role of the Elongator complex in the adult CNS demyelination and demyelination processes. Their preliminary obtained results suggest that Elongator could play a role in the differentiation of OPCs and act as a negative regulator of the demyelination. Due to the close association with the CHU de Liège, GIGA researchers have access to fibroblasts of patients. 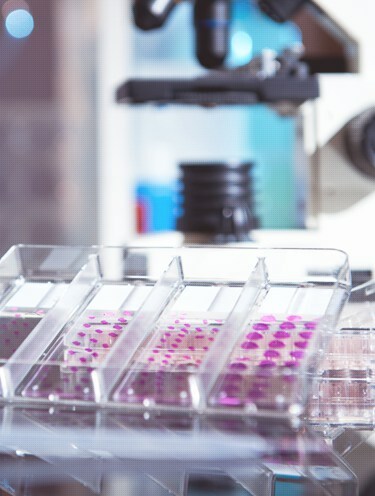 They have developed a large expertise in the generation of induced pluripotent stem cells, their characterization and differentiation into specialized neuronal cells in vitro. Teams at GIGA are specialized in the investigations of stem cells (including mesenchymal stem cells and neural crest stem cells) biology, purification and expansion, as well as in their therapeutic use in the context of regenerative medicine. Researchers at ULg have a broad expertise in the development of novel pharmaceutical formulations to improve the solubility and the bioavailability of compounds and to facilitate drug delivery to brain cells. To test these new formulations, they have also developed a cellular blood brain barrier model using immortalized human cerebral microvascular endothelial cells. Histological changes: development of specific MRI sequences to demonstrate histological changes associated with spinal cord injury, including degeneration of white matter tracts. These new quantitative imaging techniques allow to assess the degree of damage and the beneficial effects of spinal cord repair strategies. Measure axonal loss in patients with a corticospinal tract impairment, based on transcranial magnetic stimulation. This technique provides accurate data to identify patients in need of a more aggressive therapy and will potentially be a reliable tool to measure the secondary progression of the disability. This model requires a contusive injury on the dorsal spinal cord using computerized device. The advantages of using this type of device is the ability to inflict reproducible injuries without touching the spinal cord before the hit. The instrumentation senses the surface of the exposed spinal cord and continues to displace spinal tissue until it attains a predetermined force, at which point the impactor tip immediately withdraws. The probe can also be halted at specific force levels to model extended compression injuries. Various biomechanics parameters (i.e., velocity, force, tissue compression/displacement) can be monitored and thus animals that do not meet preset standards are eliminated early on in the study. The cuprizone model is a model for toxic demyelination. In this model, young mice are fed with the copper chelator cuprizone, leading to oligodendrocyte death and a subsequent reversible demyelination. Spontaneous remyelination can be seen as early as 4 days after withdrawal of cuprizone.